Los Angeles Ballet performance photos by Reed Hutchinson, courtesy of Los Angeles Ballet. These are only some of the delights on offer at Los Angeles Ballet’s star-studded gala event happening next month. 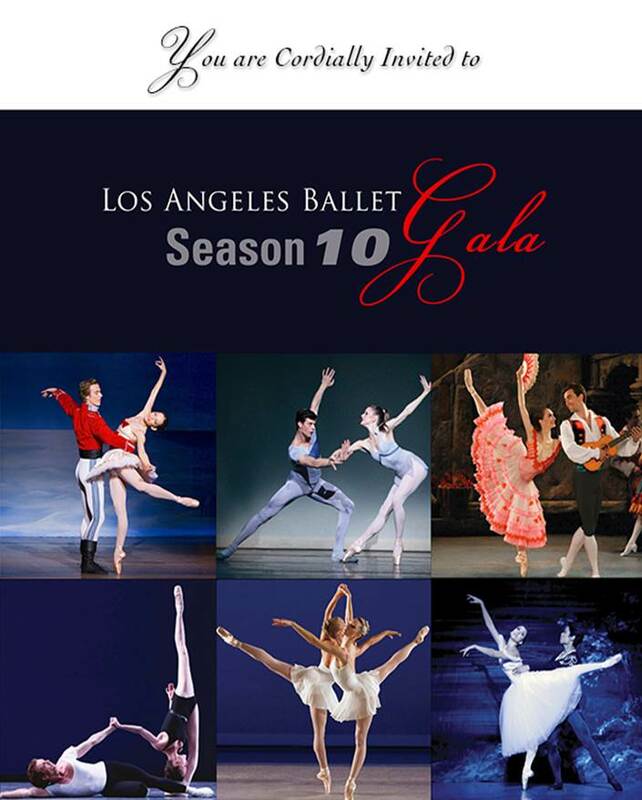 Los Angeles Ballet (LAB) celebrates its Season 10 Gala on Saturday, March 12, 2016 at the Skirball Cultural Center partnering with Monique Lhuillier to honor the company’s decade of youth, beauty and extraordinary dance as well as visionary individuals who have made significant contributions to the arts. 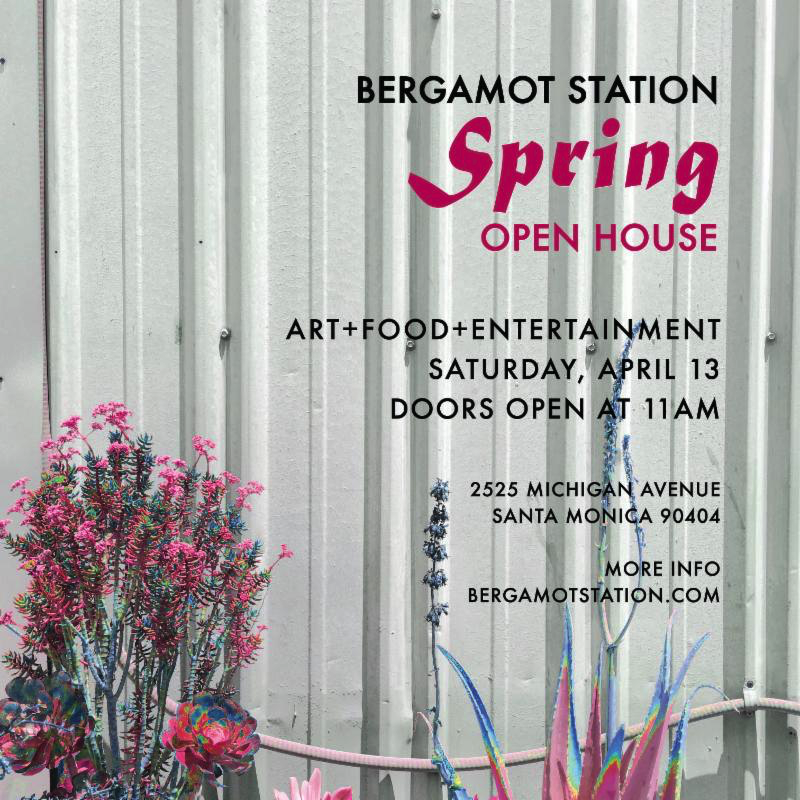 Go here to purchase tickets to the gala. Go here to purchase tribute ads by the February 25 deadline. Los Angeles Ballet’s annual gala is becoming a highly anticipated event on Los Angeles’ spring social calendar and attracts leaders in arts and culture, fashion and entertainment as well as patrons of dance raising an average of $1 million annually. Past honorees include Ghada Irani, Nigel Lythgoe, Linda Duttenhaver, Lori Milkin, Paula Abdul and Jane Seymour. Past tribute speakers and co-chairs have included Wendie Malick, Paula Abdul, Lori Milken, Kirsten Sarkisian, Leslie Kavanaugh and Dina Leeds. This year’s honorees are Chairman and CEO of the W.M. Keck Foundation Robert Day (Angel Award) and iconic performer Ben Vereen (Global Impact Award). Humanitarian and past LAB Global Impact honoree Ghada Irani will give the tribute to Robert Day and performer Paula Abdul will speak about Ben Vereen. The Gala will also feature a special selection of the company’s world premiere production of Don Quixote and a live pledge drive. Jeannette Trepp and Joanne Jones will serve as co-chairs and fashion designer Monique Lhuillier as creative collaborator. Proceeds from the Gala will once again support Los Angeles Ballet’s mission to serve communities throughout Los Angeles County through world-class performance and arts outreach programs. Founded in 1994 by Artistic Directors Thordal Christensen and Colleen Neary, Los Angeles Ballet is known for its superb stagings of Balanchine repertory, stylistically meticulous classical ballets and its commitment to new works. At the end of season ten, it will have presented 32 productions encompassing 54 works, including 15 commissioned world premieres. In addition to the original choreography by Christensen and Neary of Don Quixote making its world premiere this February, Los Angeles Ballet’s tenth season featured an original staging of The Nutcracker set in 1913 Los Angeles and will conclude with the company’s premiere of Frederick Ashton’s Romeo and Juliet. Monique Lhuillier will celebrate Los Angeles Ballet’s first decade through the placement of dancers outfitted in Monique Lhuillier designs inspired by each of Los Angeles Ballet’s past seasons, such as Liz Highstrete and Andrew Brader in the back the forth; Allyssa Bross, Christopher Revels and LAB Ensemble in Giselle; Allynne Noelle and Kenta Shimizu in Swan Lake; and Lauren Toole and Oleg Gorboulev in Serenade. The Skirball Center’s Guerin Pavilion will be transformed with additional atmospheric elements including lighting by Los Angeles Ballet and Production Resource Group (PRG), and décor by Mark’s Garden. Los Angeles Ballet Gala Event, in celebration of its 10th season. Robert Day is Chairman and Chief Executive Officer of the W.M. Keck Foundation, one of the nation’s largest philanthropic organizations with assets of more than $1.2 billion. He also serves as Chief Executive Officer of Oakmont Corporation and in 1971 founded Trust Company of the West and served as Chairman from 1971 thru 2014. He is a Director of Freeport-McMoRan Inc., a member of the Board of Governors of The Eli and Edythe Broad Foundation, a member of the Board of Overseers at Keck School of Medicine at USC and a member of the Board of Trustees at Claremont McKenna College, and Founder of the Robert Day Scholars program there. In 2014, Mr. Day was the recipient of the Millikan Medal from Caltech, the institutions highest honor. Mr. Day is also a member of The Business Council and the Alfalfa Club located in Washington, DC. In 2002, Mr. Day served on the President’s Foreign Intelligence Advisory Board. In April 2006, Mr. Day was awarded The Decoration of Officier de la Legion D’Honneur from the Government of France. Mr. Day earned a bachelor’s degree in economics from Claremont McKenna College in 1965. Ben Vereen has performed in some of the most notable Broadway productions, television series, films and variety shows of our time. Currently, he’s filming Rocky Horror Picture Show for Twentieth Century Fox directed by Kenny Ortega. Recently, he costarred with Richard Gere in the film Time Out Of Mind (Variety Oscar Critic’s Pick*) and Top Five with Chris Rock. A Tony and Drama Desk Award winner for his renowned performance in Bob Fosse’s Pippin, Mr. Vereen’s Broadway credits include: Wicked, I’m Not Rappaport, Chicago, Hair, Fosse, Jelly’s Last Jam, Jesus Christ Superstar, and A Christmas Carol. Mr. Vereen completed a successful run in the world premiere of Fetch Clay, Make Man, directed by Des McAnuff (Jersey Boys) at the McCarter Theatre. Film: Time Out of Mind Idlewild, All That Jazz, Sweet Charity, Funny Lady (Golden Globe nomination), Why Do Fools Fall in Love, Once Upon a Forest. Television: The legendary television miniseries Roots, Hot in Cleveland, How I Met Your Mother (recurring), Grey’s Anatomy (Prism Award), Tyler Perry’s House of Payne, NCIS, Law and Order: Criminal Intent, Hallmark’s An Accidental Friendship (NAACP nomination), Tenspeed and Brown Shoe, Louis Armstrong – Chicago Style, Ellis Island (Golden Globe Nomination), Anne Rice’s Feast of All Saints, Zoobilee Zoo and Star Trek – The Next Generation to name a few. Mr. Vereen continues to tour throughout the United States with his concert act, “Steppin’ Out with Ben Vereen.” In addition, he has become one of the nation’s most requested motivational speakers, among audiences of all ages, on topics ranging from Overcoming Adversity, A trip down Broadway, Black history, Arts and Education, Substance Abuse, and the Art of Physical and Occupational Therapy to name a few of his topics. Mr. Vereen has been inducted into both The Theatre Hall of Fame and the Dance Hall of Fame. Mr. Vereen performed for 100,000 people at the Washington Monument and he received the Broadwayworld.com Cabaret Award Best Celebrity Male Vocalist for his dazzling two-week run at Feinstein’s/54 Below. Recently, Mr. Vereen led the American Athletes into the LA Coliseum for The Special Olympics, followed by participating in Producer Nigel Lythgoe’s event which introduced dance as a competition for the first time in the history of the Special Olympics. At the Dizzy Feet Foundation Gala, Mr. Vereen presented an award to George Chakiris and Russ Tamblyn the stars of West Side Story. Mr. Vereen is proud to announce both the Ben Vereen Awards and the newly formed organization Wellness Through The Arts, benefiting young people across America. He recently directed a reimagined production of Hair and next year, plans on returning to Broadway in the new musical, From Brooklyn to Broadway. Monique Lhuillier is internationally recognized as one of America’s foremost designers. Established in 1996 by Monique Lhuillier and her husband, Tom Bugbee, the company is considered one of the leading fashion houses in design, quality and creativity. With a passion for creating collections that are both feminine and modern, Monique Lhuillier continues to design ready-to-wear, accessories and bridal collections that are luxurious, chic and true to her aesthetic. Fans include Emma Stone, Blake Lively, Diane Kruger, Taylor Swift, Reese Witherspoon, Anna Kendrick and the First Lady Michelle Obama among others. Monique’s signature design sensibility has led to the launch of licensed products including fur, fine jewelry and tabletop, transforming the company into a luxury lifestyle brand. Monique Lhuillier products are distributed through Monique Lhuillier stores, premium department stores and specialty stores throughout the world.